2.Waste bag dispenser, flashlight, collapsible water bowl and treat container are all included in our design, no more worry about forgetting necessary things. All of our materials including ABS coating, strong nylon strap and nonrust zinc alloy hook followed US/EU/JP quality standards, guaranteeing consistent control and long-time use. Antislip handle offers comfortable touch and using experience, which can keep moist away from your hands. Stitched reflective line can let you see the movement of your pets clearly even at dark area. Break-and-lock controlled by only one button offers you increased convenience. Your beloved pets will enjoy maximum freedom under the help of 360 degree tangle-free design. Tired of forgetting necessary tools for pets at home during traveling? Our design can totally solve this problem. Waste bag dispenser, collapsible food grade water bowl and treat container make hiking much easier. High-end flashlight and stitched reflective line added on our design are premium choice for people who want a safe night walking. It’s the only thing you need for hiking with your beloved pets! 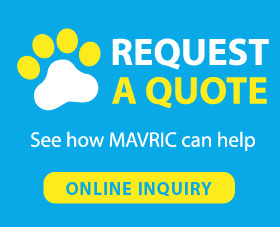 -Mavric, a professional pet products manufacturer, offers types of dog leashes. We offer 1 year warranty for all of our customers. If you have any question about pets or products, please feel free to consult with us. 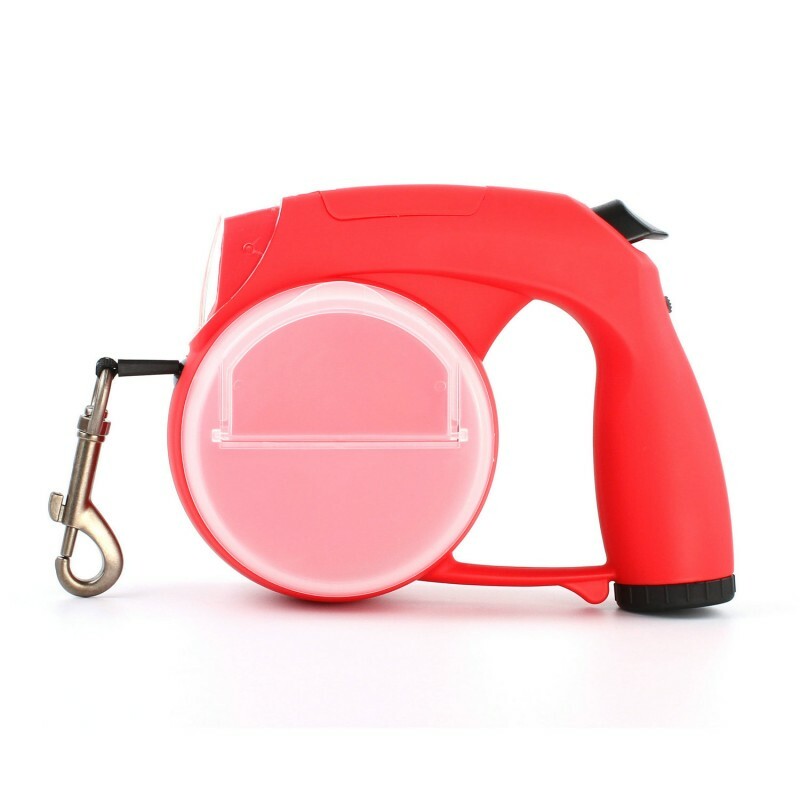 Retractable dog leash is a development of normal dog leash, which is portable and can offer increased freedom for pets. So many vets will recommend that as an ideal choice for pets walking. Normal leash always has limited angle. Walking might be the happiest time your pets will enjoy, we all want them to get as much joy as possible. Limited moving angle is definitely not a good choice for pets, which might hurt them because of pulling as well. Most retractable designs offers 360 degree tangle free system that can offer maximum freedom for pets. Also, many retractable designs are multifunctional. You don’t have to go out with your lovely pets with one leash, and one big bag to put poop bag, flashlight, and water bowl any more. Because multiple functions leashes can solve that problem perfectly. All of the tools are built right in to the leash. You don’t have to use an additional bag to bring all the tools you need together. So that’s why we all recommend you to choose a retractable design, which can solve many problems and make walking easier. Good looking product and easy to use. Arrived as expected and packed well. Wife likes the device, we are new with this one due to failure of another product after 6 months. Small dog (Bichon) and is easy to operate and feels comfortable in hand. Just in use for a week and is used each day. With a failure of only 6 months, this one seems to be just right. Only used by wife thus device is well taken care of and should last a long time. Only time will tell. Works fine, my dog is just ridiculous. The retractable leash takes a little getting used to but overall works well. My 68 lb idiot dog tries her best to break the leash but so far it is stronger than she is. It does have a lot of give- if your dog is an idiot like mine, you might want on that you can reel the pup back in a little better. Customer service has been great. Two days after getting this, we were using it and my neighbor's rather forceful dog made mad dash for us and didn't see the leash connected to our dog - she "clothes-lined" herself on it, yanking the line all the out (we didn't have it locked), flipping over, flipping our dog over and broke our leash. My son was excited about getting a retractable leash and was annoyed with the other dog breaking it so soon. I told the seller about this and they were nice enough to send us a replacement. I really appreciate their generosity and would have understood having to pay for another one as this was no fault of the leash. This retractable leash is great for the price. We have never used a retractable leash for our dog so was looking for a more economically priced one to try out with our pup. It is very functional and we have not had any issues with it so far. The only reason I deducted two stars is the button to lock the leash in place isn't the smoothest, and I am constantly accidentally locking the leash when I don't mean to. I think it may just operate in the opposite direction of other retractable leashes so may just take some time to get used to. Besides that we have loved this leash, and were happy it came with a little travel bowl for water! Although-the handle of the leash is pretty thick so you can't hang the bowl on the leash, we also were not able to fit our poop bag carrier on the leash, will have to figure out another solution.